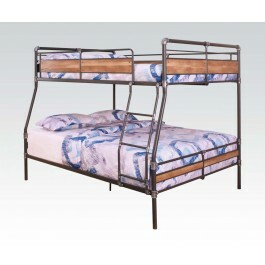 The Brantley ll collection features a full bed over queen bunk bed constructed with metal tub frames. Easy access guard rails make it easy for the kids to climb up and down. The wood design rails are not only decorative but also create more a safer environment for all concerned.